The weekend is here, and I for one am mega excited (yes, I said mega) to kick back, relax and maybe even do a little shopping while Mr. AiF's out of town. Hey, when the cat's away, am I right? Nothing crazy, just a thing or two to spice things up a bit... You know what else I'm particularly looking forward to this weekend? Uninterrupted, quality time with my old pal Netfix without so much as a peep about my (totally awesome) movie selections... Looks like it's just going to be me and Teen Wolf this Friday night — hubba hubba. Sounds like a stellar weekend to me! 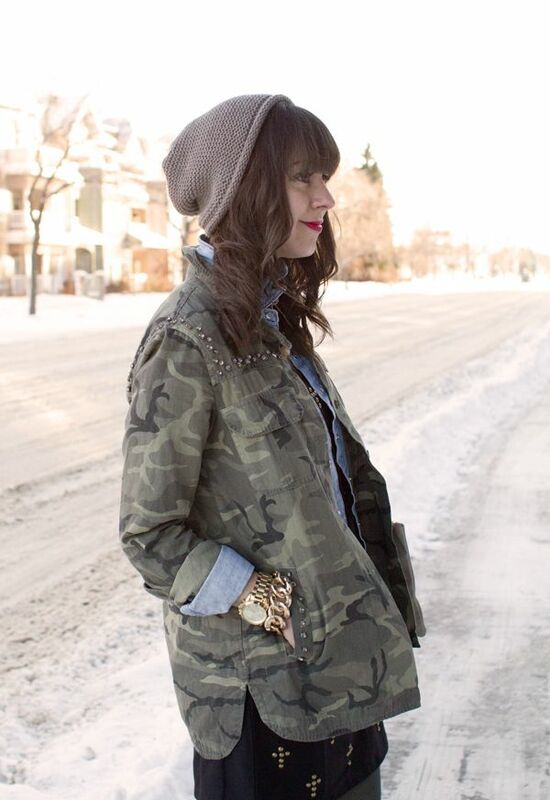 I love your tuque paired with the army jacket. Ohh i love this layered look lovely! And your weekend plans sound quite wonderful and relaxing!! Absolutely loving this Vickie! 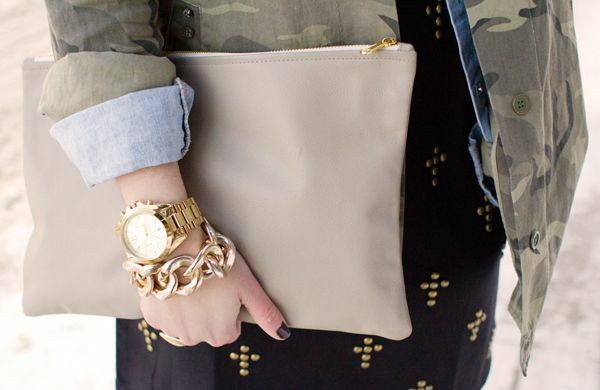 The camo's amazing and I love those studded jeans. Have the most amazing time...some alone time is always super therapeutic, as is Teen Wolf. Cute skirt - would love to see more of it! that skirt is so amazing & the slouchy beanie is a perfect relaxed touch to your outfit!!! You are gorgeous in a beanie my dear! That dress is really nice =] Love all those crosses! Me encantan los looks a capas!! !